Alissa has been a delight to be around, and we love her upbeat personality and positive attitude! She has not only excelled in animal care, Alissa has helped new volunteers in that area learn the daily routine, how to clean enclosures and prepare food for the kinkajous. Alissa has also encouraged her students to make enrichment! They students have crafted some of the awesome holiday-themed creations we have used for our enrichment tours. 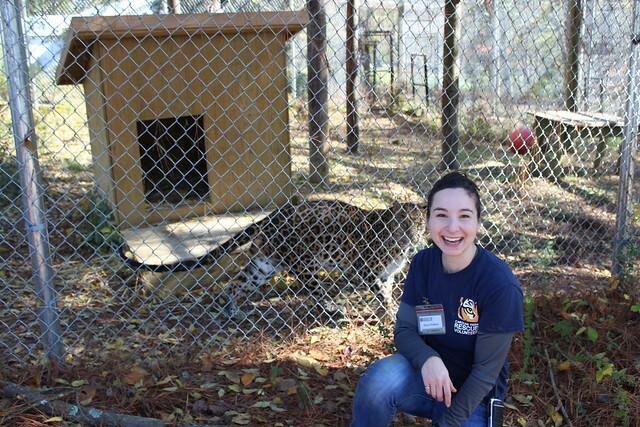 Please help us thank Alissa for her dedication, leadership and creative energy to help the staff and animals! 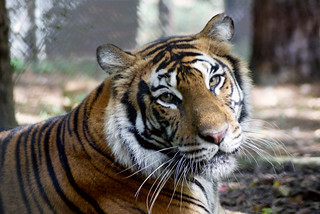 Time at Carolina Tiger Rescue: This month marks one year that Alissa has been volunteering with Carolina Tiger. Since then, she has contributed nearly 150 hours of her time and become a vital member of our animal care team.